Violent deaths is used in Venezuela as the FBI uses Murder/Manslaughter. It does not include accidents or Acts of God or health issues any other type of human death. Venezuela’s population is 31.5 million people and had in 19 years 333,029 murders. The US population is 327.2 million, ten times Venezuela. If we had the same murder rate as Chavezland, it would mean that in a period of less than two decades we would have 3.3 million murders or 173,684 murders a year. According to the FBI for 2017 (last year available) Murder/Manslaughter in the US was 17,284. The Civil War left the US with 616,000 American deaths in its four years. That comes to 154,000 deaths per year of War. 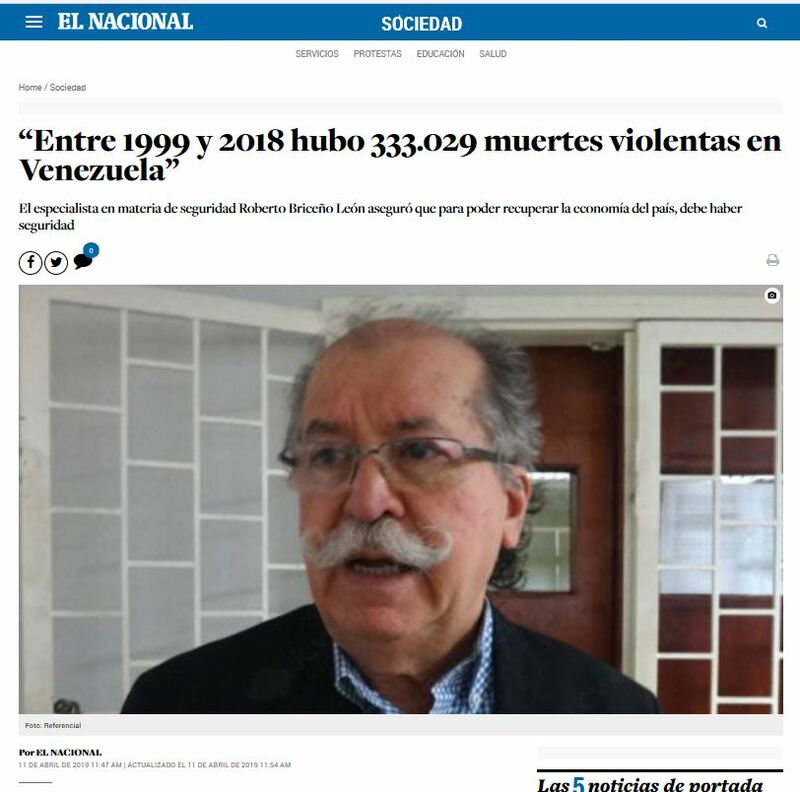 Multiply that number for 19 years and we get 2,926,000 deaths, still lower than proportionally compared to the Chavez Revolution (292,600 v. 333,029 ), and Venezuela was not and it is not engaged in a Civil War. If we take 154,000 deaths a year during the Civil War and remove one zero to compare it to Venezuela, you would end up with 15,400 violent deaths a year and the country has been running over the 20,000 murders a year for a long while now. I read somewhere that in Caracas only go out at night: The Armed Government, the Criminals, the New Socialist Rich with bodyguards and the Fools to be Preyed Upon. Everybody else behaves like it was a vampire movie and lock themselves at home when the sun goes down. Next PostNext Florida: CS/SB 7030: School Safety and Security (Guardian Program) passed the Appropiations Committee.